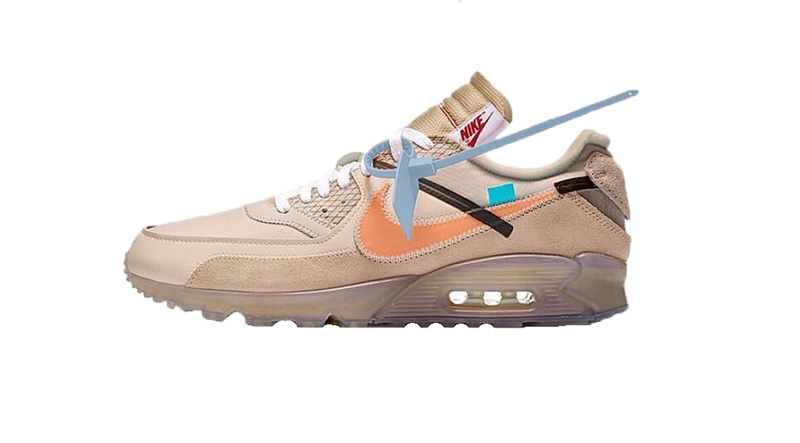 Off White x Nike Air Max 90 "Desert Ore"
The Off White x Nike Air Max 90 “Desert Ore” is another colorway in the Nike x Off White series that will be releasing at Nike sportswear retailers across the globe in October. Continuing the Off White x Nike library, the “Desert Ore” colorway will be releasing in limited quantities in October, around the same time as the upcoming Hallows Eve Blazer. The Air Max 90 features a Desert Ore upper, alongside an orange swoosh, red swoosh tag branding and a blue zip tie. Clear outsoles are also added on the bottom for the signature off white look. Stay tuned with Modern Notoriety for the Off White x Nike Air Max 90 “Desert Ore” release date here.